I don't believe in wedding packages! 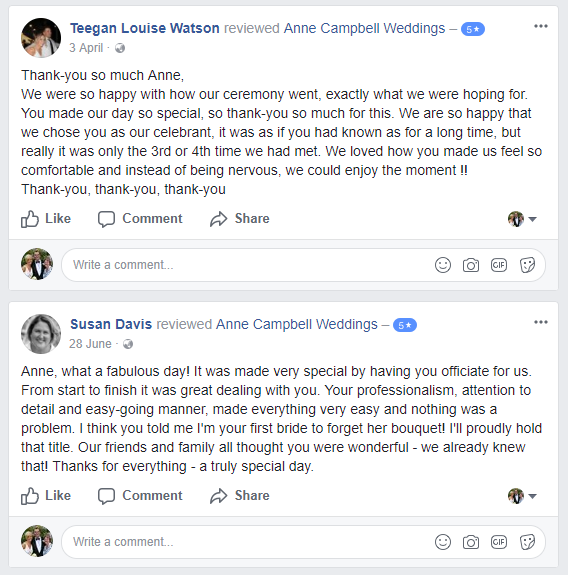 I could fill a website with information about how i am the perfect celebrant for you, but i thought it may be easier for you to hear from some of my happy couples! Since 2003, I've had the pleasure of being the celebrant for over a thousand amazing couples. I've loved every single ceremony and have made lifelong friends in the process. Feel free to take a look at my reviews on Facebook and EasyWeddings to see what people think.